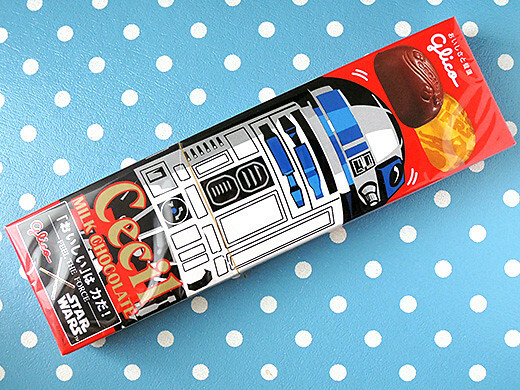 Now Glico is collaborating with Star Wars, for my opinion, some of the products are boring for me (sorry!) 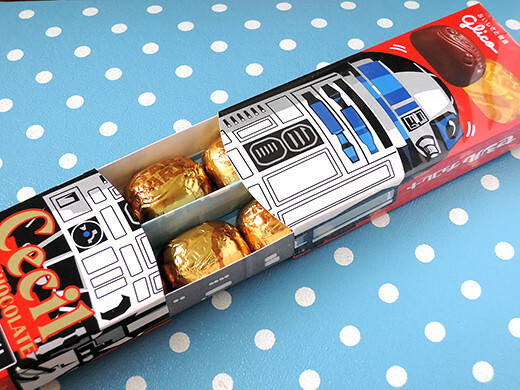 but this R2-D2 chocolate box is very cute! 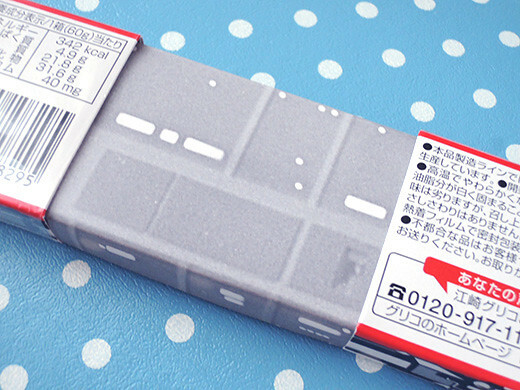 I chose head-moving version from 4 kind of packages. 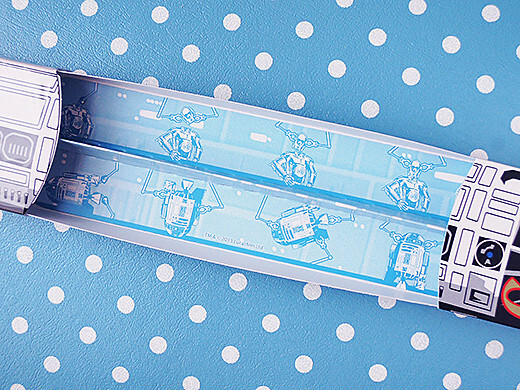 Silhouetted droids were designed on wrapping foils, and you’d find R2 and C-3PO cartoon in the bottom of the box. 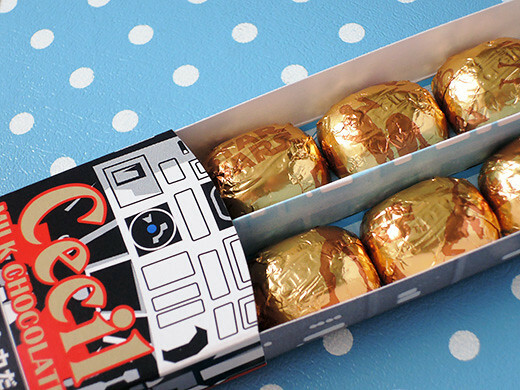 I can’t throw away this box after eat up all chocolate candies! !